Heraklion, Crete’s biggest city and Greece’s fifth largest, besides introducing travelers to fascinating attractions, is also home to restaurants that boast some of the best tastes on the Greek island. Either on its own or sampled with an international twist, Crete’s gastronomy is a must for all. 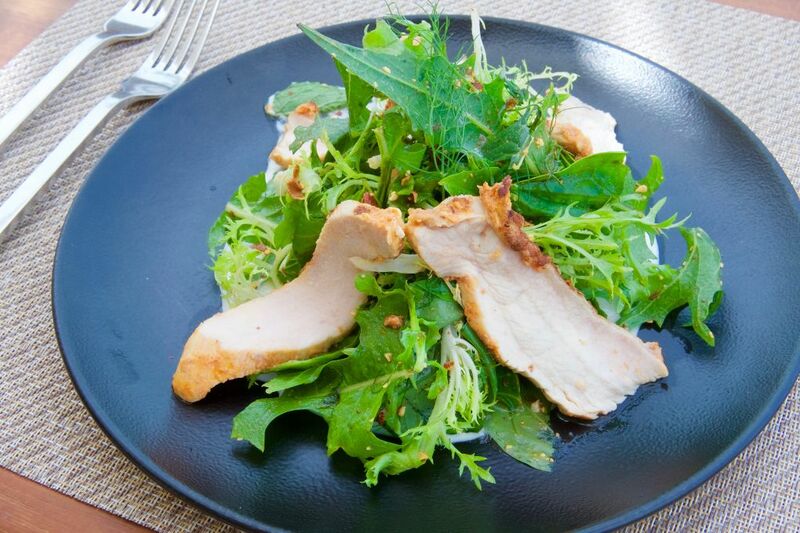 The impressive standards of the Cretan diet have made it one of the best-known and healthiest cuisines in the world. A diet that includes a unique way of life… or vice versa. Yet, what are the ingredients that make Cretan gastronomy stand out? Cretans get almost all their food from nature. 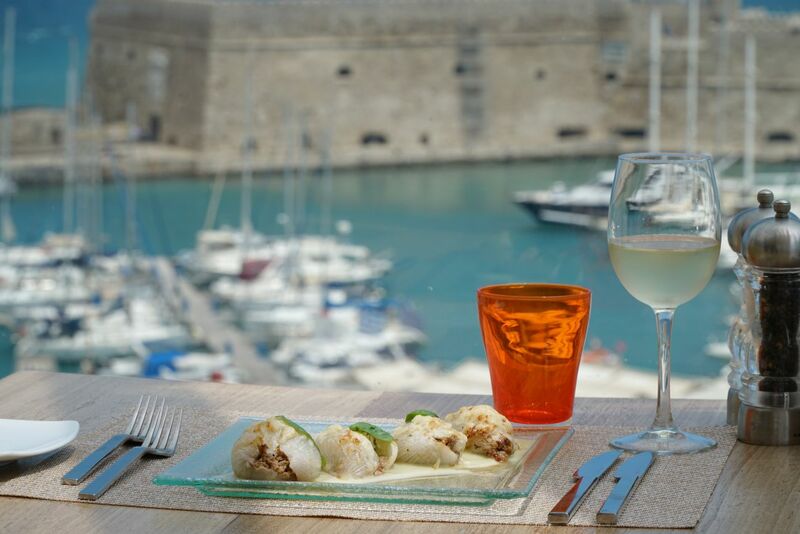 In fact, the island’s gastronomy strength lies in a selection of fresh ingredients: seasonal fruits and vegetables, wild herbs and excellent olive oil. Based on this, Karatarakis Hotels and Restaurants gives us two restaurant selections on Crete that guarantee a delicious experience of Greek gastronomy. International dishes with a touch of Crete! Traditional recipes populate restaurants all over the island, but if you are seeking for a menu with international dishes combined with a touch of local ingredients, there is no better place than the unique atmosphere of 626 All Day Lounge & City Garden. 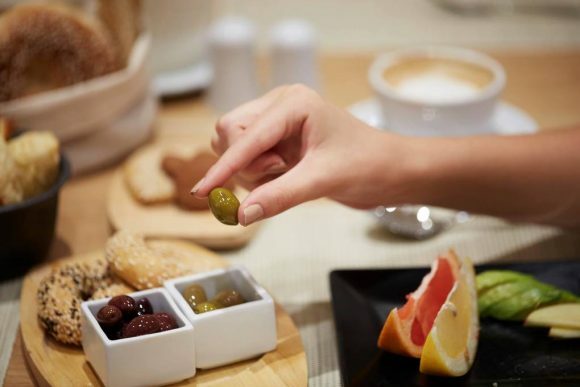 Located next to the Olive Green Hotel, in one of the most beautiful squares of Heraklio’s center, the 626 All Day Lounge and City Garden is an impressive European venue that welcomes guests and promises a delicious menu with an international background. 626 All Day caters to those travelers who look for a familiar dish mixed with the traits of the traditional Greek cuisine. The offer ranges from a healthy brunchto multivitamin beverages such as smoothies with dried plums and linseed, spinach and natural orange juice, as well super fruit combinations. 626 All Day also has gluten free options as well as vegan and vegetarian proposals. For those into Mediterranean cuisine, the Herbs’ Garden honors Crete’s nature. Its name recalls the fragrances of the herbs that dominate the island. 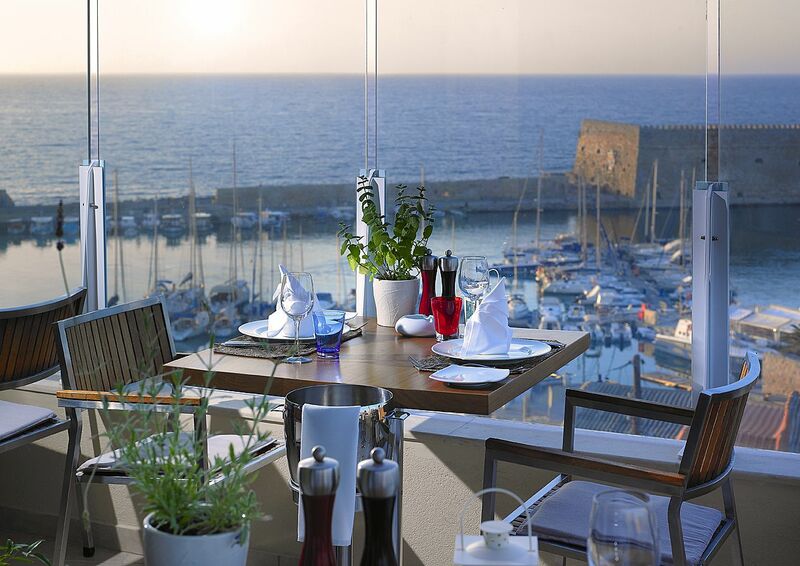 Located at the Lato Boutique Hotel, the Herbs’ Garden is one of the few places to rejoice a unique view of the Venetian Fortress of Heraklion. Herbs’ Garden is a great choice to enjoy fine dining under the stars, as well as unique local wines. A heavenly refuge from the scorching Cretan sun, the refreshing atmosphere comes together with ice cold juices, homemade ice cream and fantastic cocktails for an afternoon of delicacies and amazing panoramas. 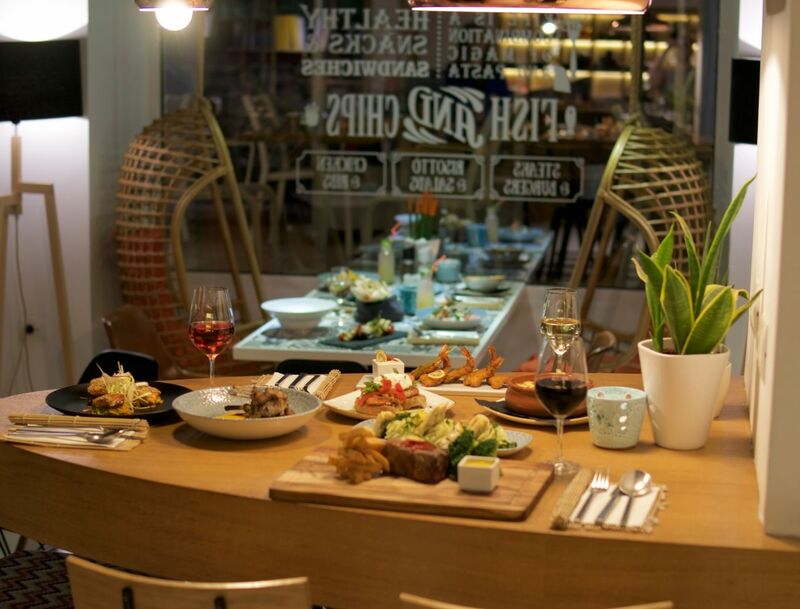 For dinner, Mediterranean dishes of fresh fish, local meat and a variety of authentic Cretan tastes. Karatarakis Hotels & Restaurants owns, leases and manages hotels, residencies, restaurants, and conference facilities. Active in the hospitality industry since 1976, the group provides complete accommodation, gastronomy, leisure and entertainment services. Karatarakis hotels in Heraklion include the classic Lato Boutique Hotel, eco-friendly Olive Green Hotel and Legacy Gastro Suites. Corporate headquarters for the company are on Crete.